The latest plant-based eatery to sprout up in South-West London is vegan café Kiss My Grass. 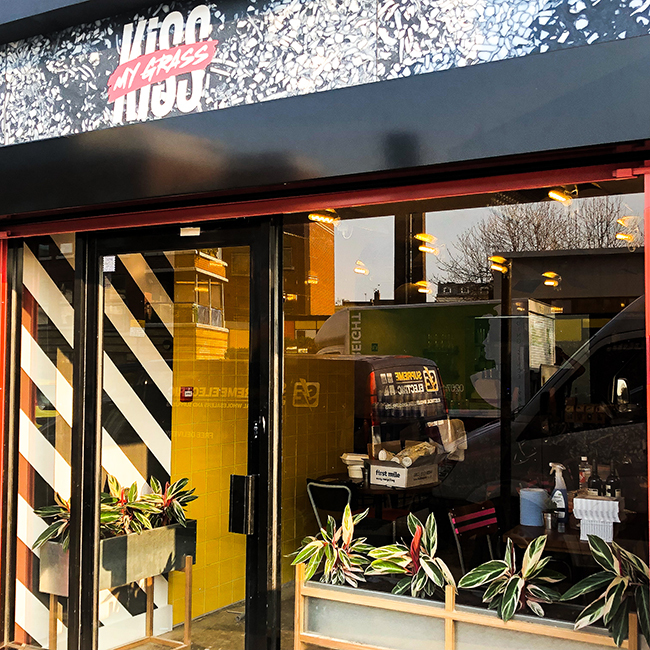 A brand new vegan eatery has opened its doors off North End Road in South-West London – Kiss My Grass. Kiss My Grass opened its doors earlier this month and is serving up delicious vegan food and drink to delight its customers. 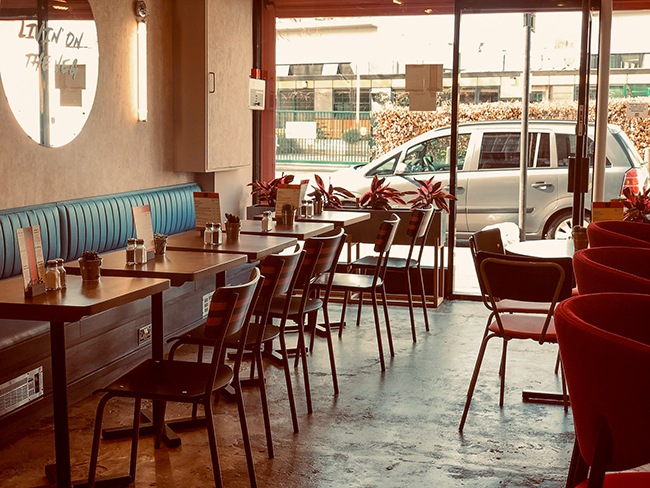 The café will be the go-to spot for local vegans looking for a place to enjoy a bottomless brunch with friends at the weekend, and also offers lunch, dinner and dessert menus championing only the freshest locally sourced fruit and veg. You won’t find mock-meats on the menu however as Kiss My Grass believes meaty copycats can fork off! They don’t believe you have to replicate traditional meaty dishes or use protein substitutes to create delicious vegan dishes. Instead, the all-day plant-based café proudly places vegetables at the centre of each dish, instead of their usual side position. 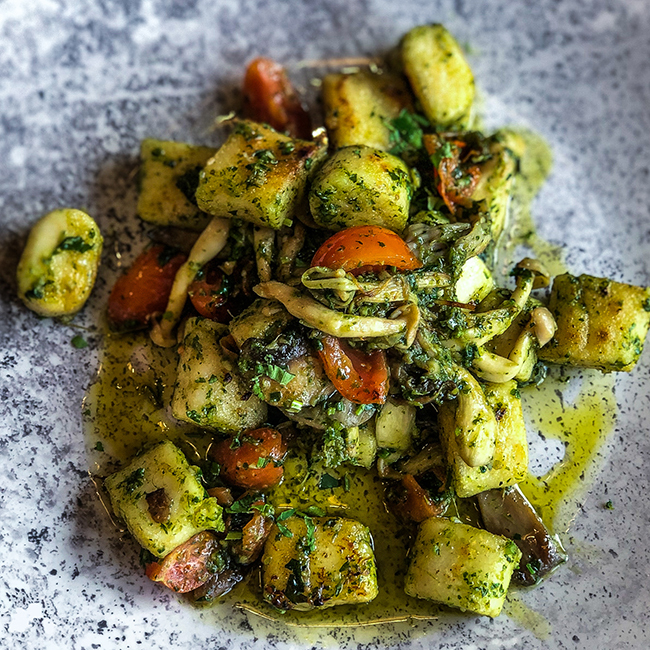 Open now, herbivores and carnivores alike can sink their teeth into some of the café’s most delicious dishes including ‘Gnocchi on Heaven’s Door‘ which features freshly made crispy corn gnocchi with pan-fried exotic mushrooms and cherry tomatoes in a herbed green sauce. There’s also the ‘Don’t Want No Spuds’ dish with sweet corn and potato fritters with pan-fried baby gem lettuce drizzled with soy sauce and sweet Masala soya yoghurt dressing.